Happy Holidays! We hope you enjoy the new look of our website and invite you to visit often! 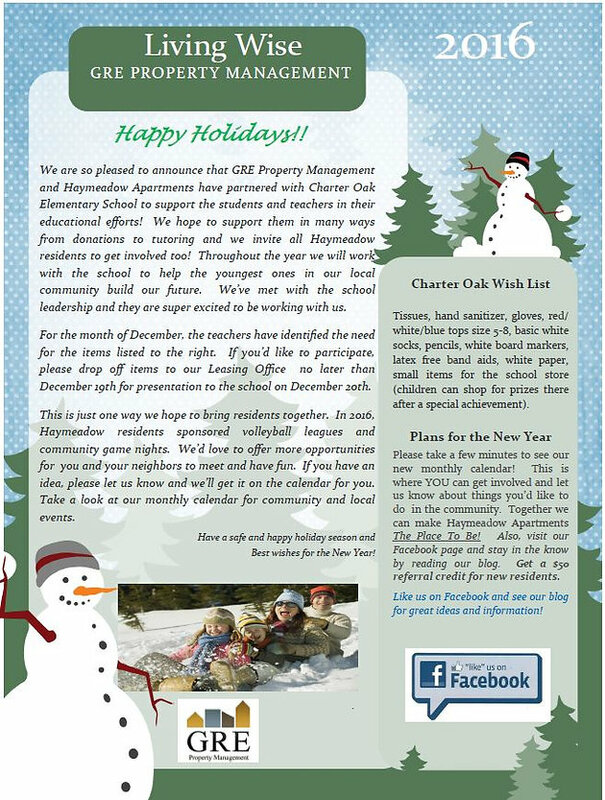 In this month&apos;s issue of Living Wise we are asking for your donation of items to help Charter Oak Primary School, and are introducing our new Community Events calendar found on our Haymeadow page! Please feel free to comment and share with friends. Thank you!